Thanks to the support of ResCo and the NAHYDT Jake Wood recieved his Basketball for being our BIDDYBALLER of the week. Congratulation to Jake, keep on practising and playing well and we will see you in the senior teams in the future. Last Friday saw a party of our juniors travel to the inaugural Pennant Hills Junior Classis. It was a great experience for all these boys to play golf on such a well-respected Sydney course in perfect wintery conditions and didn’t they do our club proud. Full news item on the file attachment on the next page>>. Scone Public School students have shown a new interest in basketball following a basketball promotion at their school. NAHYDT are delighted to assist the teaching staff with equipment to get the school program well underway for 2011. Good luck to the Scone teams entering in the upcoming school competition. The Northern Lakes Doyalson Junior Touch Association secures sponsorship for the2011/2012 season. Proudly sponsored by the Wallarah 2 Coal Project and NAHYDT. Maitland Mustangs secures sponsorship for the Mustangs in Schools Program for Term 2, Term 3 and Term 4 courtesy of Donaldson Coal and the Newcastle and Hunter Youth Development Trust. ‘SUPPORTING ACTIVE KIDS’ CLICK HERE to the Mustangs in Schools page. Under 9 Seashells Netball team from Lake Munmorah received netball starter kits and were welcomed by all the girls with excitement and joy. They were very happy to receive their own netball as well as a few other things provided by the Wallarah2 Coal Project and NAHYDT. Toriarn, Shorney, Bree, Tammy, Sam, Lucy, Lucinda and Amelia would like to say a big thank you to all for supplying the team with well needed equipment. Maitland PCYC secures sponsorship for Youth Development and the Kindy Gym Program. Maitland PCYC Fitness now on Facebook. NAHYDT and the Wallarah2 Coal Project were able to provide Wadalba Basketball Team with a set of uniforms for the games held at Central Coast Youth Club on 3rd March 2011. NAHYDT would like to thank Hornsby Ku-ring-gai Basketball Association for the photos of the happy team members in their local competition who received their NAHYDT/FLAMES drink bottles this week. All the best in your games in 2011 CLICK HERE for the latest news from Hornsby Association where the Sydney Flames wil be conducting camps in the Easter school holidays. The Newcastle and Hunter Youth Development Trust were delighted to be able to support the Under 20 NSW Women with training gear as part of our Term1 Women in Sport Promotion. Congratulations on your Silver Medal and good luck in your basketball careers. Come along and join the fun on Monday afternoons at Lakehaven YMCA in the Learn to Play Program Email: tlba@tpg.com.au Phone: 4334 2690 Starts at 4:00pm. 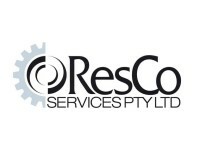 Maitland Mustang 2011 Under 12 Women coached by Michael Newham were presented with their training kits this week, proudly sponsored by NAHYDT and ResCo Services Pty Ltd. By all reports the girls are training well and looking forward to a great year of basketball. Following a visit to Lakehaven Venue on Monday 14th February the NAHYDT are happy to support some of the junior girls with new team uniforms for the Friday Night Competition at Lakehaven. Junior Basketball at Lakehaven is proudly supported by the Wallarah2 Coal Project. All children were given a Wallarah/NAHYDT FUN PACK. NAHYDT will be delivering another load of basketball gear for the children at Port Stephens Thunder. David Richards will be out and about in Term 1 bringing basketball clinics to local schools. WOMEN IN SPORT. NAHYDT/FLAMES Drink bottles on the way to Bathurst, Moss Vale and Hornsby Basketball promoting junior girls basketball development programs in 2011. Team of the Week at Northern Lakes Doyalson Junior Touch Association is "Divas " proudly supported by the Wallarah2 Coal Project. Team of the Week at Northern Lakes Doyalson Junior Touch Association is "Smash Its" proudly supported by the Wallarah2 Coal Project. NAHYDT would like to congratulate Bathurst Basketball Association on their recent camp with members of the Sydney Flames doing a remarkable job bringing top quality clinics to children across NSW. 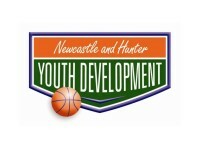 NAHYDT NOW ON FACEBOOK Keep up with all the latest news on events supported by The Newcastle and Hunter Youth Development Trust now on Facebook. Wyong Golf Club will be holding a junior golf tournament on Tuesday 18th January, 2011 with 60 – 80 players expected this year. 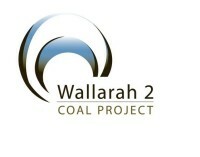 This event is proudly supported by NAHYDT and the Wallarah2 Coal Project. Contact David at Port Stephens PCYC Phone 4981 3099 for all information on joining the basketball program in 2011. 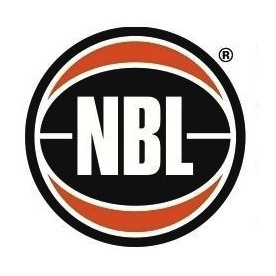 Grassroots Basketball at the Home of Port Stephens Thunder in 2011 is proudly supported by NAHYDT. More news coming soon. February 2011 is a great time to get the little ones started in a healthy and active lifestyle at the Lakehaven Kindy Fun Program on Thursday mornings . Check for your Wallarah2 starters packs for news starters at Kindy Fun. Basketballs, T-Shirts and drinkbottles are now available from February 2011. Early planning from the Bluehaven Raiders Junior Rugby League has allowed the NAHYDT to finalise arrangements for the new season in 2011. All sponsorship for uniforms and donated equipment has been delivered. Our thanks to the Wallarah2 Coal Project ‘supporting active kids’ at Bluehaven JRL.